Wonderful things can come from those little samples that come with your beauty orders let me tell you. One such packet was the Tony Moly Appletox Cream, which came along with a Korean bb cream purchase and I was hooked from the first application. 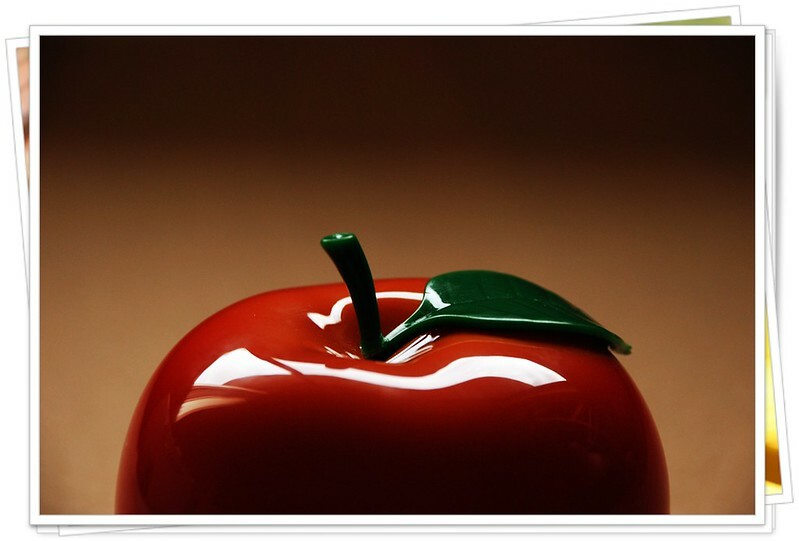 Having had only a mediocre experience with the brand with the Floria skincare line (reviewed here), I didn't expect to be so taken with this little apple...quite literally...an apple. Now that we've (hopefully) gotten over how adorable the packaging is, let's look at what's inside. The top half of the jar unscrews to reveal a plastic cover with a tiny spatula for dipping into the product (you'll need this bit, trust me). 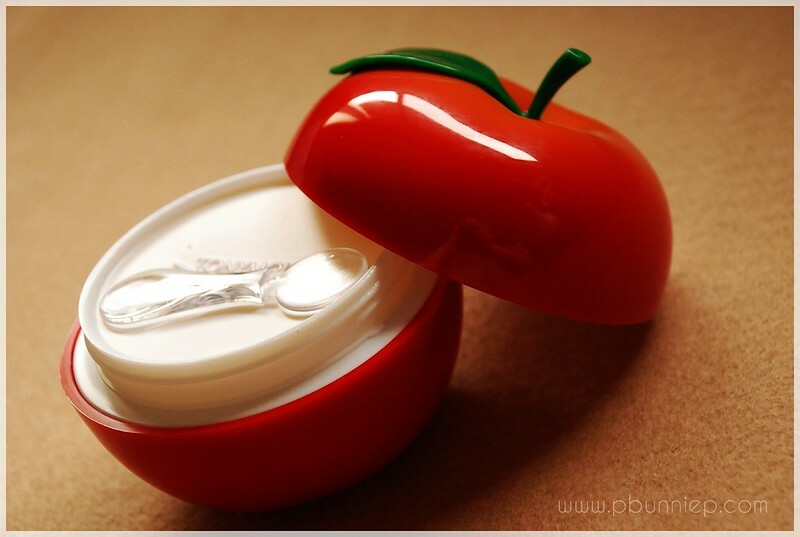 I'd advise you to keep that plastic lid because once you lift that up, the "cream" inside is actually quite a viscous (dare I say slightly slimy) concoction which smells authentically of a sweetened apple with a tinge of tartness. You haven't smelled anything quite like this I'm sure in a skincare product. The lid is actually very helpful for keeping the cream from spilling over the edge when you're opening/closing the top. Now to the fun part, this moisturizing treatment (as it's been translated) has the most unique texture. 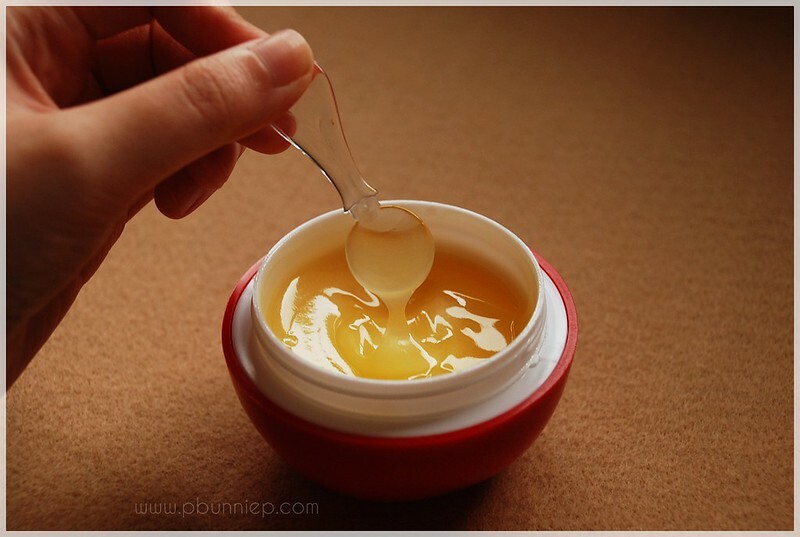 It's the consistency of warm honey but without any of the stickiness and spreads amazingly well on the skin without the slight bit of tugging. 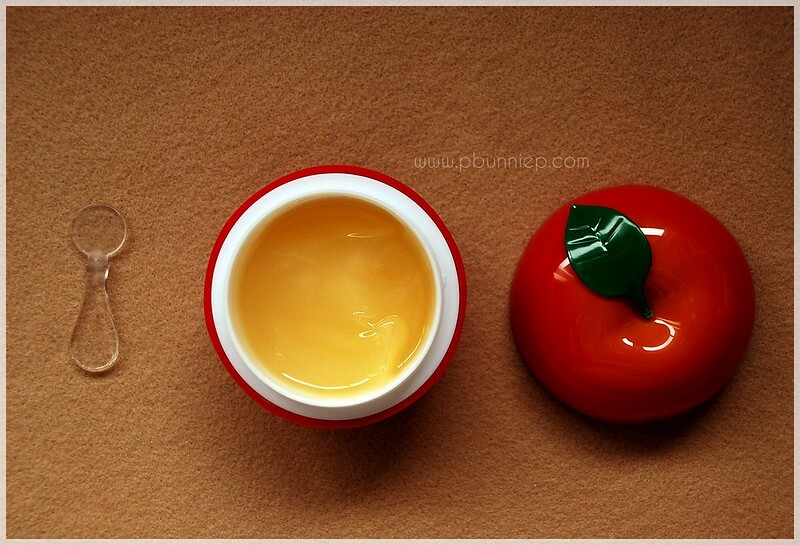 Containing a slew of nourishing ingredients like apple extract, royal jelly as well as manuka honey this cream is both soothing and smoothing. I found it especially good for sensitive skin days, say if I over exfoliated, when I'm experiencing redness or chapped bits this comforting gel cream just feels wonderful. My skin was velvety and plump with a semi-matte finish. During this dead of winter, I can apply a healthy slather of this on and not wake up to an overly oily face in the morning. For my combination skin this is a good dose of moisture, oily skins may like this quite a bit too during the cold but super dry skin types will need a serum to supplement this underneath this time of the year. I tend to use this as a nourishing night treatment a few times a week but the texture would make for a great foundation base/primer as it truly instantaneously smoothes the skin almost like a veil. Quick tip: Dip your spatula into the cream once and that should be the perfect amount for your face and neck, don't scoop, just wipe off what's been picked up on both sides of the wand. I made the mistake of scooping the first few times and ended up with too much product. 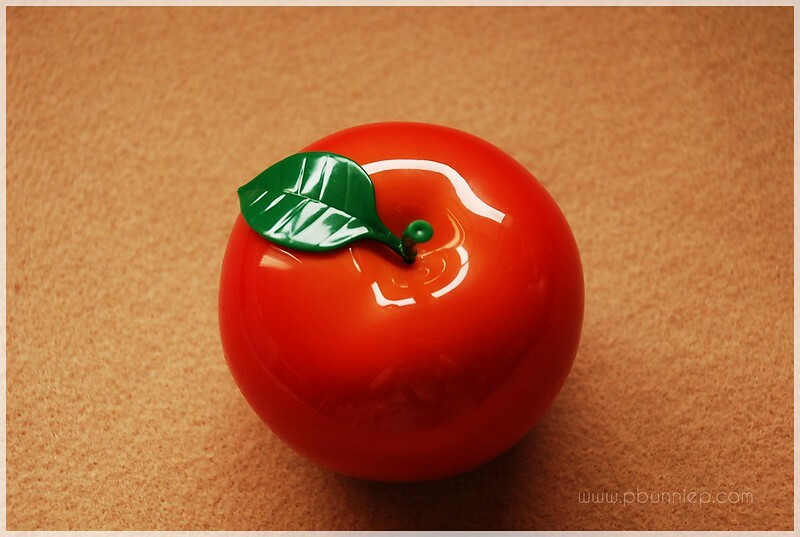 I am quite thrilled with my little apple gem here, for the price point I think it's a standout product. After almost a month of using this with no breakouts or adverse reactions, I am thoroughly pleased. Go for this if you want something soothing and moisturizing but with a light comforting texture. It's become one of my go-to products of the season and I'm sure will be a returning item in my routine. aah, such a cute package! It sounds really good :o.
Wow, looks interesting, have yet to try Tony Moly products! So adorable! I am a sucker for attractive packaging..te-hehehe! Do you leave this on or rinse it after a few minutes? You just let it sit and absorb, it's not a face mask.